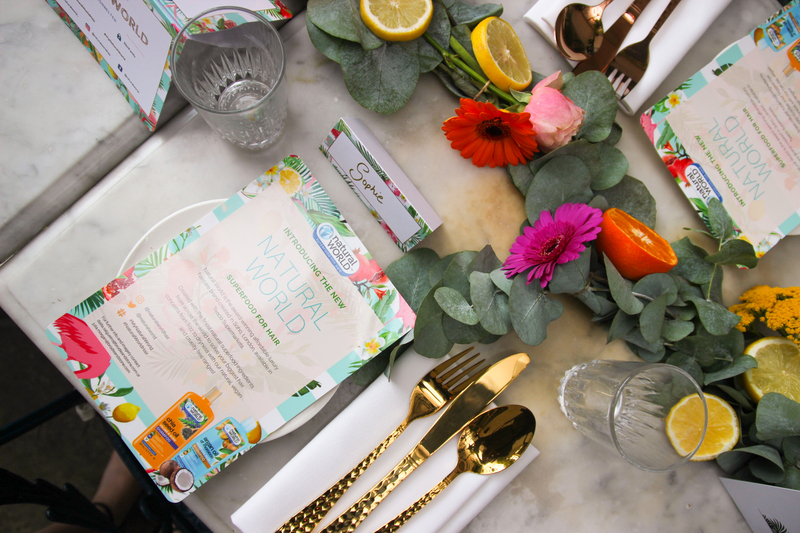 Our fave natural haircare company Natural World recently held a fabulous brunch at Bourne & Hollingsworth, a super-Instagrammable cafe with plenty of sunny lighting. Scattered around the room were gorgeous little displays of the Natural World range for guests to play around with, creating the perfect space to get some great content for the ‘gram. Among all the fresh fruit platters and coconut smoothie bowls was Amy Russell Hair, a super-talented hair stylist who can whip together some amazing braids before you can say ‘festival queen’. Kristen has never worn her hair all pulled back before (or in braids really because her hair has always been short), but she absolutely loved the braid crown that Amy gave her, using products from the Natural World range. Also at the event was Jamie Neale, a Creative Movement Director who gave us a little masterclass on how we can use our bodies to improve our pics for the ‘gram. He spoke about how it’s important to think about how the colour of your clothing and accessories pairs with your background or landscape, as well as what kind of message your body language is giving in the shot. Jamie also mentioned how it’s important to think about who your dream collaborators are and if your current brand message aligns with theirs. If it does, you’re on the right track to landing your ultimate brand collab! For those who haven’t seen our Instagram posts or previous vlog, Natural World uses 95% natural ingredients to create special formulas that act as superfood for your hair, using loads of goodies like coconut milk, chia seed oil and argan oil. As well as being great for your hair and the environment, it’s also fantastic for your wallet, with the reasonably-priced products being conveniently found at Tesco in the UK and Coles in Australia.